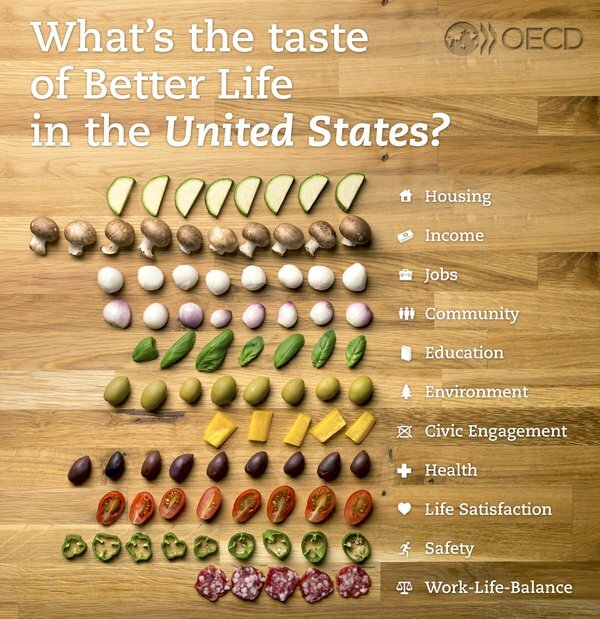 What’s your recipe for a Better Life? 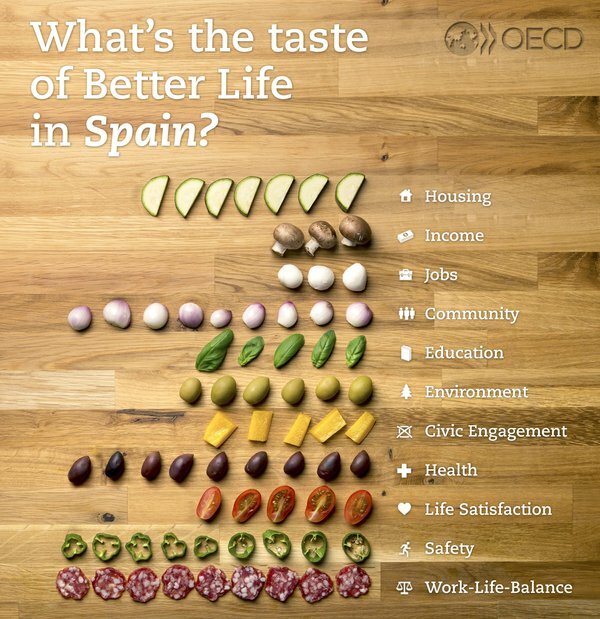 What are the key ingredients to improving life—is it good education, environment, healthcare, housing or working hours? 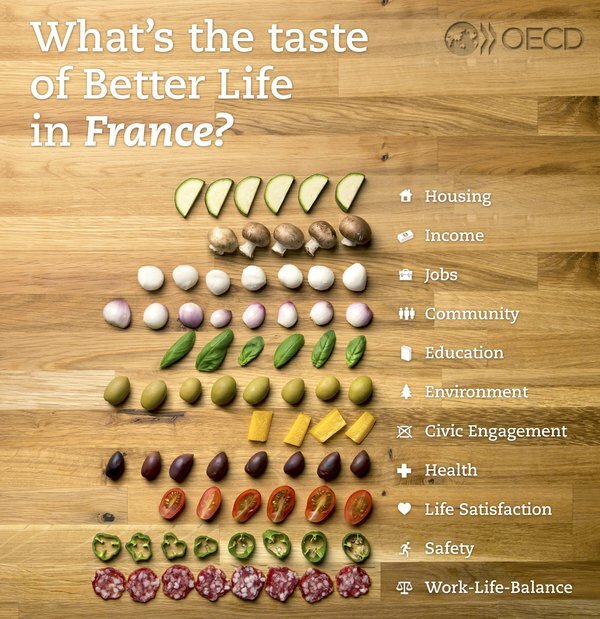 Does well-being mean the same thing to all people or in all countries and societies? 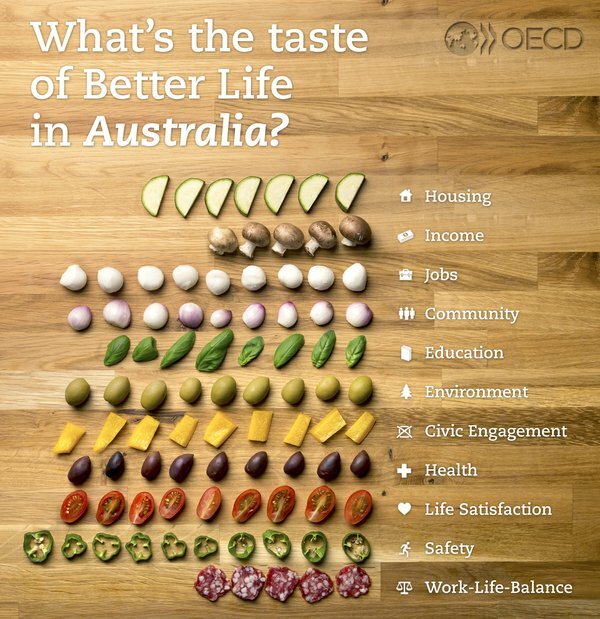 The OECD Better Life Index is an interactive tool that invites you to come up with your own recipe and share it with us. 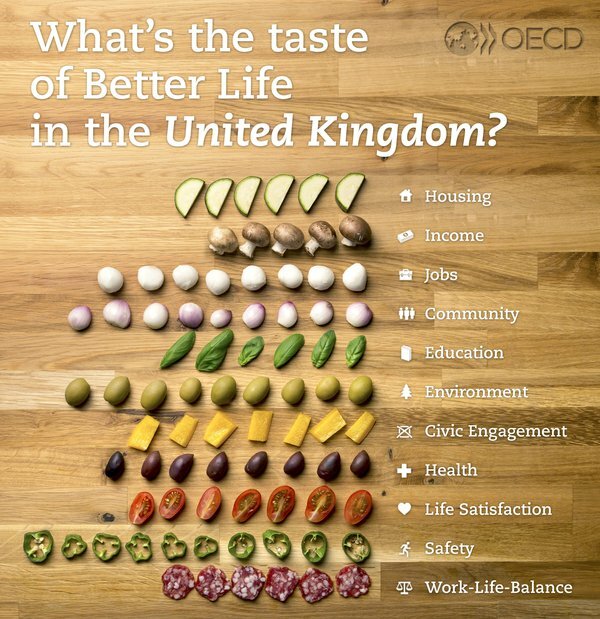 By creating and visualising your own index, you are able to compare some of the key factors that contribute to well-being. With your help, we can start to understand what matters most to people around the world. Each year, we try to reach more people and share their feedback with the world. 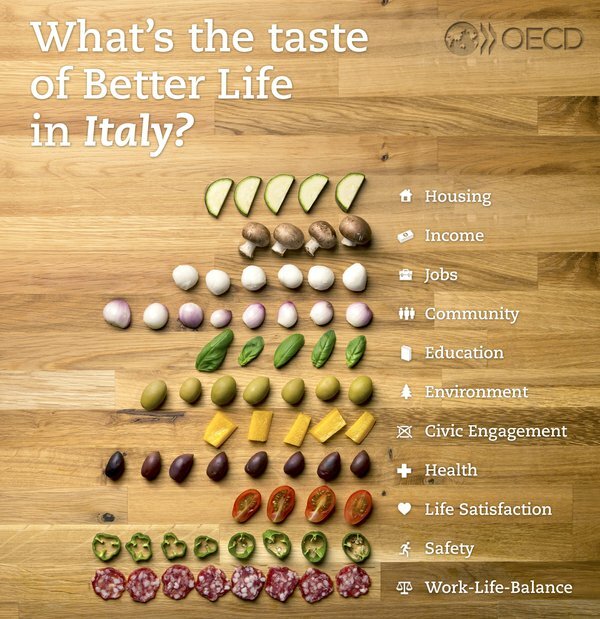 On the occasion of the Universal Exposition in Milan, Italy the OECD is proud to present a new Italian Better Life Index site and invite all visitors of Expo Milano, to share their ideas on what makes for a better life. What’s most important to you? 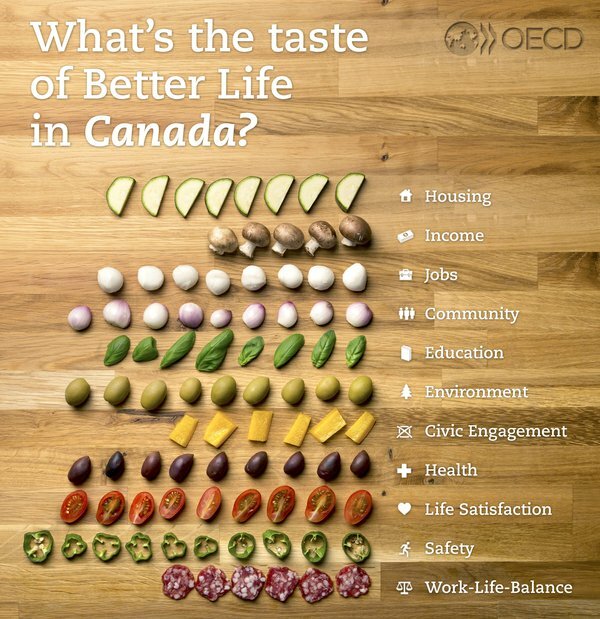 Create your Better Life Index and tell us. 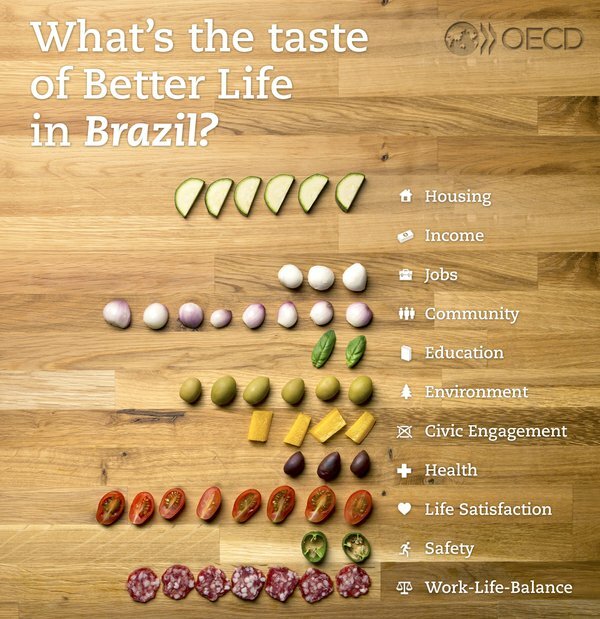 Tell us what makes a better life for you: rate these 11 topics to create your Better Life Index of 36 countries. 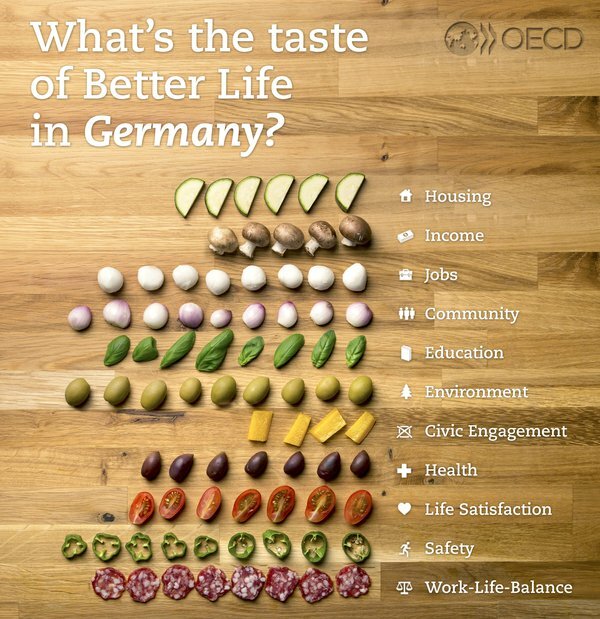 Want to find out what matters most to Better Life Index users in your country. Select your country and the one to compare it to. 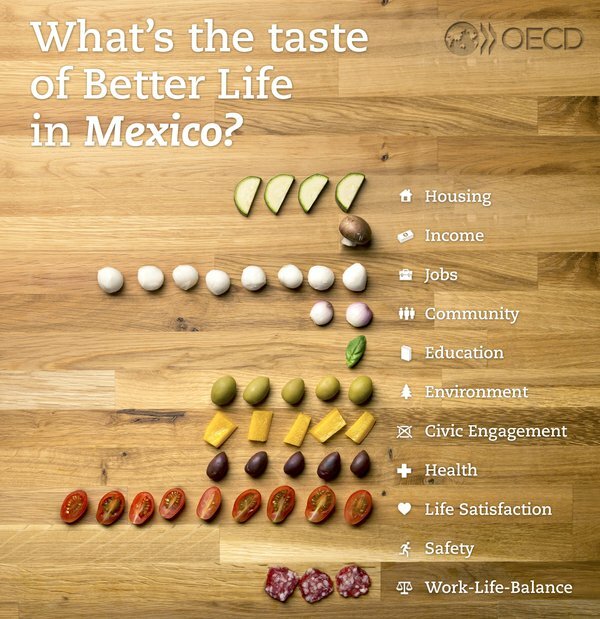 © OECD 2015. All rights reserved.